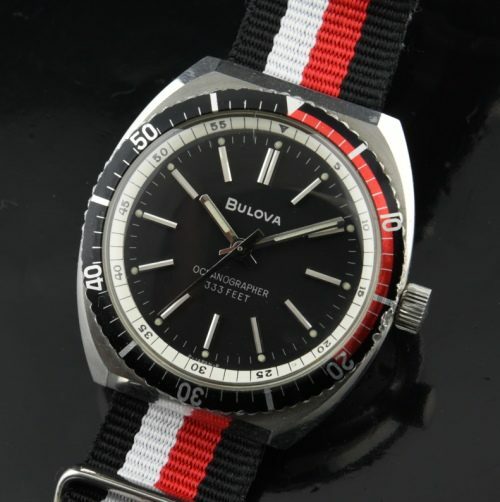 This is a eye-popping vintage 1970’s Bulova Oceanographer 333ft. Dive Watch measuring 37.5mm. in steel with vibrant turning bezel, original dial and hands-all in great condition. There is some wear on the edge of the bezel near the crown, but is less visible with the naked eye. The BULOVA manual winding movement is accurate after a very recent cleaning. This watch looks simply AMAZING on the wrist!